Paxiom Group, the global sales and service division for industry leading manufacturers: WeighPack Systems, EndFlex, SleekWrapper and CombiScale, has opened its fifth new Xperience Center at 16850 West Victor Road, New Berlin, WI 53151 just fifteen minutes from Milwaukee’s International Airport. 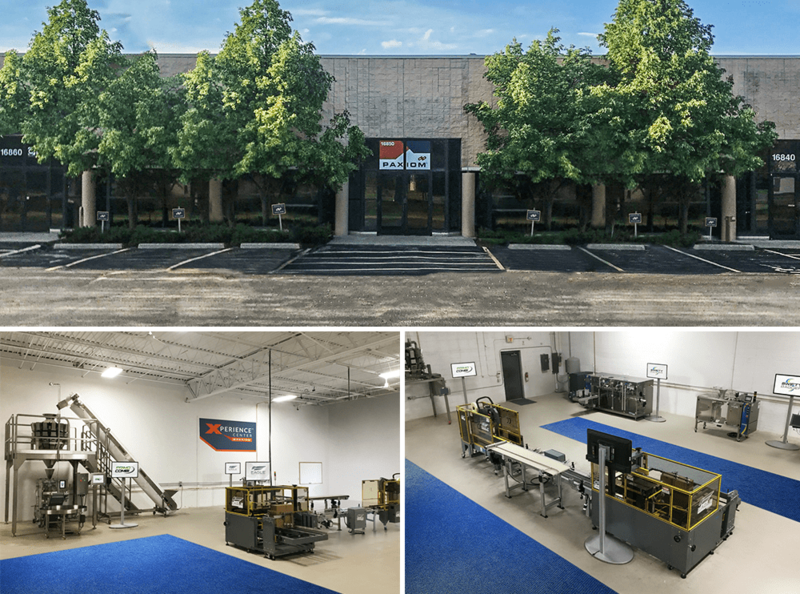 This new center showcases over $2,000,000 of finished packaging machine inventory including primary and secondary packaging solutions as well as end of line automation. The Xperience Center is open for business, employing a team of experienced sales professionals, field service technicians and administrative staff.